Champions League fantasy football contests are available on Sportito for almost all the match days. For all the fantasy football players, these 2018/19 Champions League statistics will be useful when drafting the Fantasy Champions League teams on Sportito. This article includes Champions League player statistics and team statistics for you. 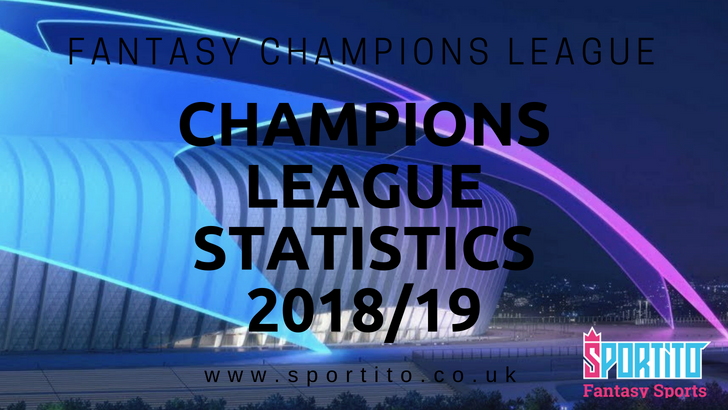 Before you draft the fantasy teams on Sportito, check out this article for up-to-date Champions League statistics 2018/19. Top goal scorers, most assists, most yellow cards & most scored teams of 18/19 Champions League are included in this article. 2018/19 Champions League player statistics will definitely come in handy when you are in doubt to which players to include in your Fantasy Champions League teams every week. Get these Champions League stats and win against the other participants.